These are the current The Way of the Donkey handouts. We are working on a coloring book for children and a journal for teens. Amy Cuddy’s research findings have been criticized related to hormone changes, but I still maintain that helping young people stand with power creates many positive outcomes. The Way of the Donkey Community Organization Presentation will provide fun and informative information about donkeys. Do you know where donkeys evolved and when they were domesticated? The donkey is one of two animals in the Bible that talks. Do you know what the donkey said? Do you know about the three sizes of donkeys and do you know the difference between donkey, burro, mule, and hinnie? When did donkeys first come to the Americas? What president of the U.S. took a leading role in promoting donkeys and mules? Who gave him a donkey? How many donkeys are there in the world and what do people do with those donkeys? How did wild burros end up in the West. 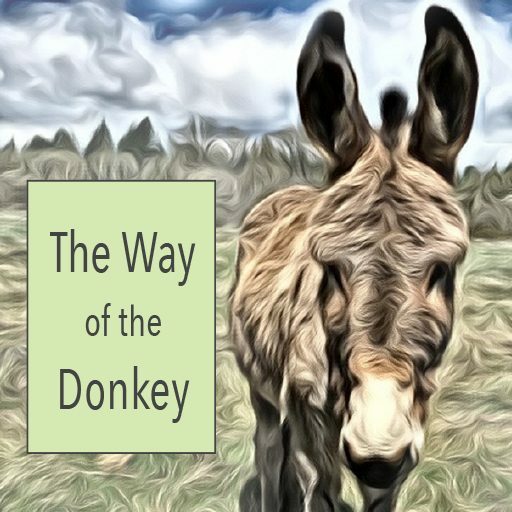 What is The Way of the Donkey and why is The Caring Place Donkey Sanctuary promoting Donkey Assisted Therapy? After our presentation you will know the answers to these questions … and much more! This presentation can be shaped to the available time. If the facilities support this, we can bring a donkey who will be safely housed in a pen. As we are launching The Caring Place Donkey Sanctuary Community Funding Campaign, we would like to do these presentations in a manner where we can make a brief funding request at the end. The Way of the Donkey Parent Presentation will also provide fun and informative facts about donkeys. However, much of the presentation will focus on The Way of the Donkey parenting guidance. The Parent Presentation will go into significantly greater depth on the background for the parenting suggestions and ways to implement these recommendations. If the facilities support this, we can bring a donkey who will be safely housed in a pen. This presentation is primarily designed for professionals such as mental health professionals, educators, and others who work with young people in youth organization settings. The presentation will focus on the behavioral characteristics of donkeys which we believe make them excellent for equine therapy activities. The presentation will provide in-depth insight into the foundation research that underlies The Way of the Donkey recommendations that are being provided to parents, teens, and kids. The presentation will also provide insight into how this strategies that are grounded in this foundation research can be integrated into the activities of young people in their organizations and schools. Nancy Willard, M.S., J.D. is also the Director of Embrace Civility in the Digital Age. Through this program, she focuses on bullying prevention. You can download her resume. We are developing guidance on The Way of the Donkey as a strategy to use in schools to promote positive school climate or in companies to promote a positive workplace environment.These should be available Fall 2017. For schools, we are creating a three-part presentation. For staff, the Professional presentation geared for how to implement these ideas in the classroom. Parent presentation in the evening. A presentation for the students with the donkeys. Likely this will be most effective at the elementary school level. We are adapting The Way of the Donkey guidance to focus on strategies employers can use to promote positive workplace environment. Contact us to make arrangements for a presentation.